By stayhomecupcake on September 21st, 2009 . Filed under: Announcements, Cupcake Ideas, Giveaways . And the winner is… Laura M.! Congratulations! Please email us at allthingscupcake@gmail.com and give us your full name and address so we can have the bag mailed to you. Thanks to all who entered and included some wonderful links to other cupcake crafts. Be sure to enter our next giveaway coming later today! Thanks again to CupcaxDesigns for the great prize. 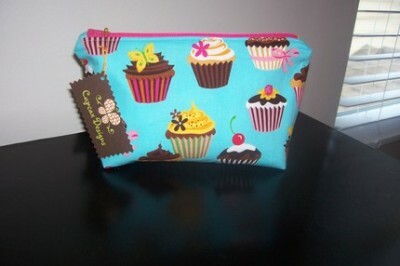 Check out stayhomecupcake’s shop on Etsy. Thanks Laura! We have passed your info on to CupcaxDesigns. You should be receiving your bag next week. Thanks for entering!